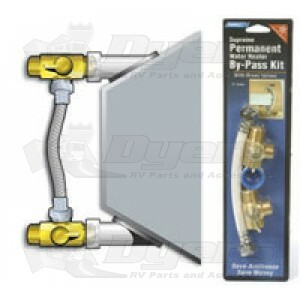 Simple, permanent installation of this kit allows you to easily drain your water heater for winterizing. Brass valves provide non-restrictive flow. 12" Crimp-resistant nylon reinforced hose.